What Matters For Kids is an enrichment company offering six engaging programs for kids ages 3-12. The primary focus in all of the WMFK programs is to engage students in fun experiences while helping build self-confidence, self-esteem, and a desire to learn more! 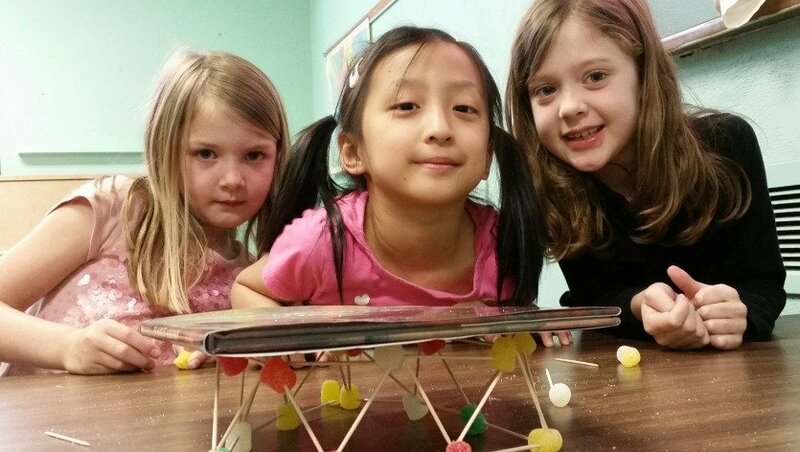 Kids experience something new in every class and discover that shifting perspectives and trying new things can open up a world of possibilities! Science Matters For Kids is a fun and engaging, hands-on science enrichment program for kids ages 3-10. 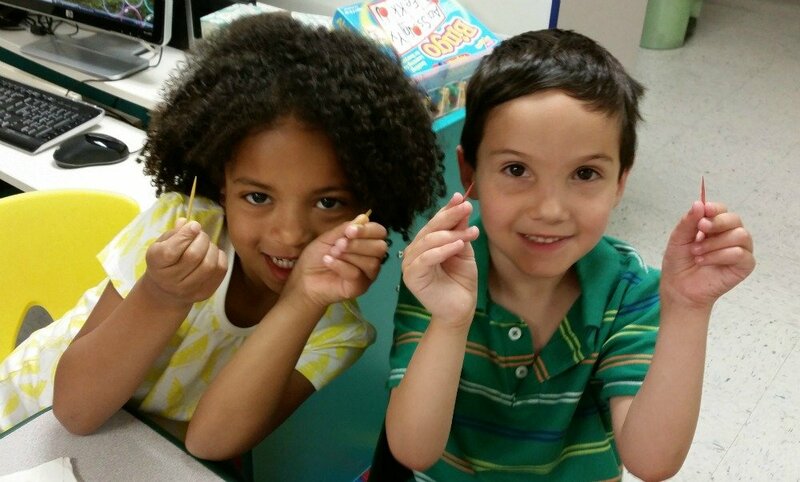 Kids actively investigate, observe, experiment, and discover something new in every class. While each class has a singular focus or topic, the main goal is to guide kids in learning how to infer and realize how and why things happen. Kids are inherently filled with questions about… well, everything! Our goal is to encourage that sense of wonder and allow them to discover, through hands-on experimentation, everything from “Why is the sky blue?” to “How does a ball bounce?” and so much more! Cooking Matters For Kids classes are designed for kids ages 5-12 and teach kids how to… cook! Classes that require heat use microwave ovens or induction cook-tops so there are no open flames. Kids are introduced to cooking in a fun and exciting way – they actually make food while also learning about the culture, history, and variations of the food of the day. Pasta (from scratch), crêpes, and so much more! Come see, smell, and taste the fun of cooking! Inspiration Matters For Kids classes are created for kids ages 3-10. In each class, we find inspiration from a variety of sources… a book, a holiday, a culture, or even… a rock! From this inspiration point, and using the materials of the day, students are encouraged to create, concoct, or design something uniquely theirs! Kids will be introduced to a wide variety of resources and materials. So, is it an art class? Is it a crafts class? Is it an engineering class? Yes, yes, and yes — but even more, it’s an inspiration class! Playtime Matters For Kids is a blast from the past for kids ages 3-12! Kick-the-Can, Red Rover, jacks, jump rope, finger plays, hand games and many other games played by generations past will engage kids in healthy unplugged activity. Kids will be so busy playing fun games they won’t even realize they’re learning new skills, making friends, and getting healthy! Money Matters For Kids is an interactive series of 10 classes for kids for ages 4-12. This program is run in one or two week sessions within a school or camp setting. In this class, kids will learn about Money, Careers, Mortgages, and Banking with Credit and Debit Cards all taught within the framework of the story of The Three Little Pigs. These little piggies are going to the bank and bringing home the bacon! To request more information on any of these programs or to schedule a date for a class, contact us today! All three programs offer fun, engaging, and entertaining birthday parties sure to be a hit! Click here for more information! All of the What Matters For Kids programs – Science Matters For Kids, Cooking Matters For Kids, and Inspiration Matters For Kids – offer sessions for Cub Scout Dens, Packs, and Girl Scout Troops for belt loop and badge work. We take the pressure off parents and leaders and do all the planning and preparation for you!